Tréso Ltd. Ramrod Tools listed below are threaded for 10-32 ramrod tips. 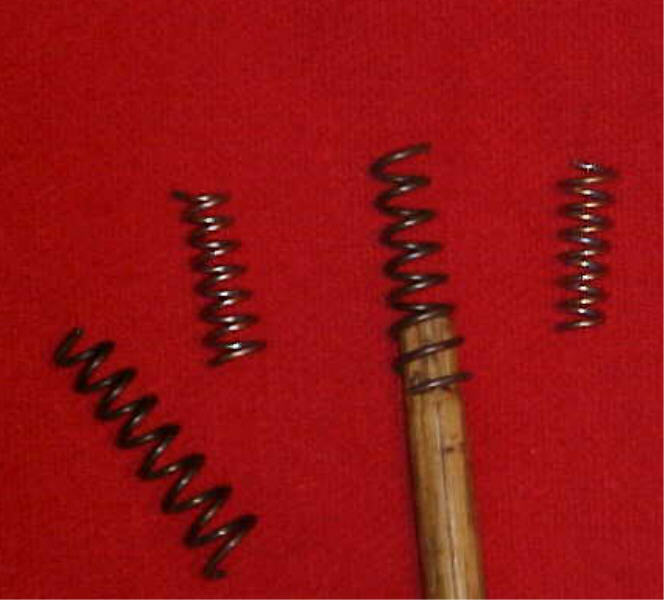 The same items are available threaded for 8-32 by special order. Listed from left to right in photo above. Thread adaptor kits allows tools with 10-32 threads to fit on 8-32 tips and vice versa. $6.75 / kit. All other Tréso Ltd. products are available by special order. Linen tow, 100% flax tow roving used for cleaning with our historically authentic gun worms. Also makes great tinder for your flint and steel fire-making kit. 1 oz bundle only $1.75 ea. (G) Sorry, this item is out of stock. 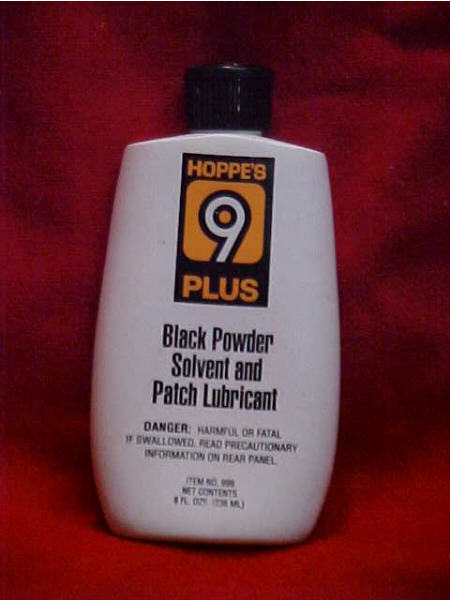 .005 inch prelubricated shooting patches fit rifles between .50 and .60 caliber. $5.70 for package of 100. Overpowder/Overshot Cards. The heavier card goes over the powder, the thinner card over the shot. Each package contains 100 of each. Specify either 20 gauge or 12 gauge. $3.50 per package. 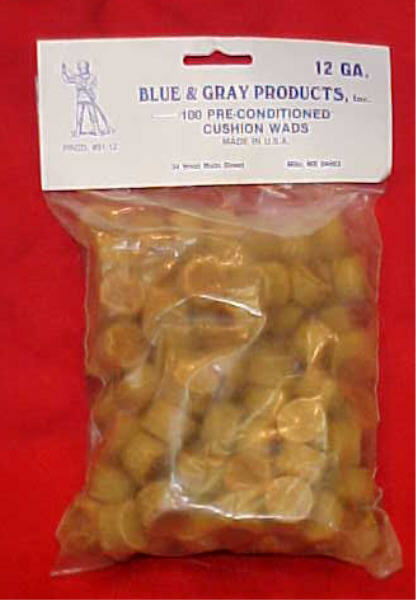 Prelubricated Compression Wads. 100 per package Specify 20 gauge or 12 gauge. $4.00 per package. Favorites of cap and ball revolver shooters have applications for black powder cartridge reloading as well. 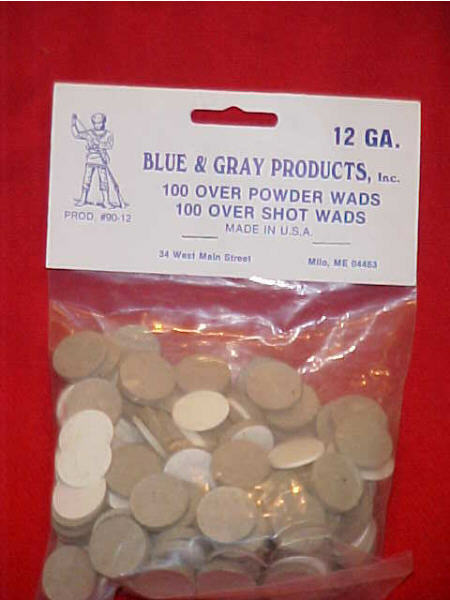 Each package contains 100 wonder wads.